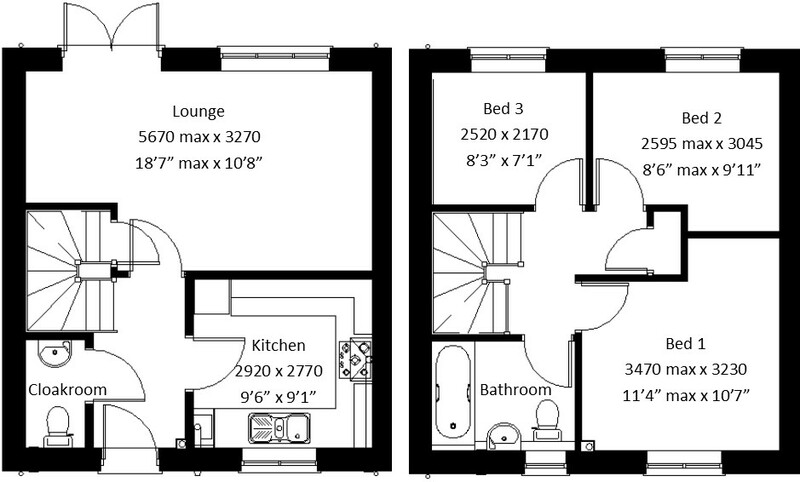 The Brooke is a 3 bedroom semi-detached house comprising of Kitchen, Lounge, Cloakroom, 3 Bedrooms & Family Bathroom. Garden to rear & parking. Full gas central heating. (or alternative system if gas not available). White Sanitary ware to Bathroom with co-ordinating wall tiles. Thermostatic shower over bath with silver shower screen and co-ordinating wall tiles. Shaver Socket & White Heated Towel Rail to the Bathroom. Telephone point to Lounge next to TV. Aerial point, and Bed 1. T.V aerial point in Lounge, Bed 1 & Kitchen/Diner. Wiring only for future Intruder Alarm for keypad, control panel and bell box. Smoke detectors and security locks to all external doors. Coach light to front elevation of property. Fenced rear garden. Turfing to front and rear gardens (where applicable). Carpets from the Jelson selected range. 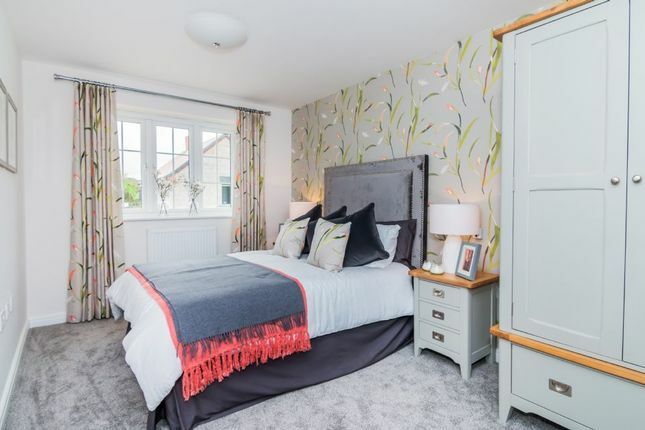 Heartlands is situated in the popular Priors Hall Park development conveniently located for transport links giving easy access to A43 to Stamford, A47 to Peterborough and also Kettering and Northampton are not far away. Corby railway station gives easy travel links to Kettering and London St Pancreas. Property descriptions and related information displayed on this page, with the exclusion of Running Costs data, are marketing materials provided by Jelson Homes - Heartlands, and do not constitute property particulars. Please contact Jelson Homes - Heartlands for full details and further information. The Running Costs data displayed on this page are provided by SmartNewHomes to give an indication of potential running costs based on various data sources. SmartNewHomes does not warrant or accept any responsibility for the accuracy or completeness of the property descriptions, related information or Running Costs data provided here.